Tallinn authorities have allocated 180,000 euros ($215,500) towards the restoration of the Church of the Nativity of the Theotokos (Kazan Church) in the Estonian capital city, the mayor’s press service reported yesterday, according to RIA-Novosti. The agreement on the allocation of funds was signed by parish rector Victor Melnik and Tallinn City Council Chairman Mikhail Kilvart. According to the plan, the restoration work on the Kazan Church, as it is known by the people, will be completed by 2021. “The Kazan Church is of great value and importance, not just for the Orthodox community, but in general it has an indisputable significance for the history and culture of Tallinn. 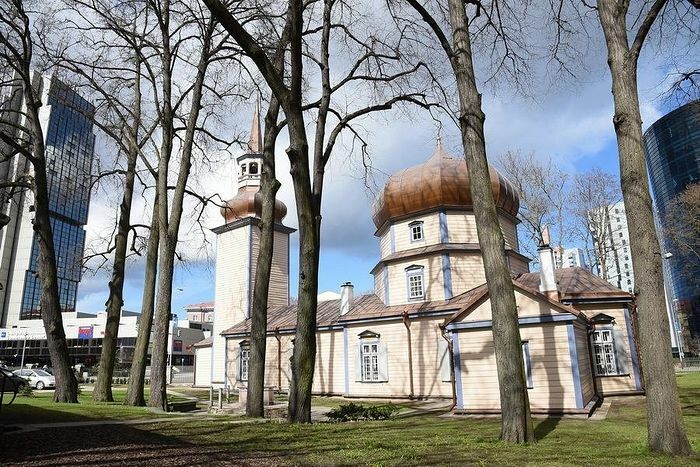 The Church of the Nativity of the Most Holy Theotokos, which will celebrate its 300th anniversary in three years, is the oldest sacred wooden structure in Tallinn,” Fr. Kilvart stated. The city also allocated 50,000 euros ($53,100) a year ago to repair the roof on the same church. The parish appealed to the city administration again this year to continue helping in the restoration work, which will move ahead with the reconstruction of the heating and ventilation system, as well as the restoration of the interior of Church monuments. The Kazan Church was built in 1721, the first in Tallinn after Estonia was annexed into the Russian Empire. It is the country’s oldest surviving wooden church, where Patriarch Alexey II of blessed memory served as parish rector for sixteen years in the middle of the previous century. The church was set on fire in 2009, damaging the outer wall, the attic and the roof. Tallinn authorities and the Estonian Council of Churches allocated 14 million euros ($201,11,000) for restoration, at which point it was discovered that the church was in an extremely poor state overall. A copy of the wonderworking Kazan Icon of the Mother of God and an ancient military diptych were transferred to the Church from St. Petersburg, and thus it earned the affectionate title of the Kazan Church from the faithful. In late December, the Estonian government decided to allocate 8.2 million euros ($9,828,110) to churches operating in Estonia as compensation for damages received during the course of the war and occupations of the previous century. Among them, the Estonian Apostolic Orthodox Church of the Patriarchate of Constantinople (EAOC) received 1.4 million euros ($1,677,970).